Hey friend, it's Aron. In this story you can join me in my journey to finding out all about monsters when I journey outside of my quiet village. Leaving my only friend behind, I'm determined to find more than this boring village. I want to smash skeletons, throw creepers, and face off against zombies. I want to do what an iron golem is meant to do. I want to protect. I want to fight, and it's all I ever wished for. If you wonder how Deadpool could survive the Minecraft world and fight zombies, this adventure diary audiobook is for you! Follow the adventures of Stampylonghead and his close friends witty Flash the turtle and cake loving Lola the bird as they have to navigate their way around a major challenge of saving their village of Tuk Tuk from the imminent attack of the gnomes. Stampylonghead, a famous hero and a brave commander comes up with various out of the box solutions to the threats of the standoff with the gnomes. Will Stampylonghead win the war that is looming ahead? Will the villagers be driven out of their cosy homes once again? For the past five months, rural parts of the world have been breaking out in spontaneous fires. These mysterious fires, which no one has been able to identify the cause of, have begun to displace residents of the Deep Forests, who now seek refuge in the nearby city. Graagghhh ! Meet your Minecraft zombie, Steve. Beware! He's tall, green, and out to scare! Zombie Steve is on his way to meet up with some of his friends when he hears what sounds like a little child laughing. It just got dark outside, and no human in their right mind would be out, much less a child. When Steve investigates, he finds a tiny villager - a child named Beep. Beep is lost but doesn't have enough sense to be afraid of anything! Alex is a loner in the ice plains. She prefers pigs to people. She's a vegetarian. She starts in a small hut but moves into an igloo that she then renovates. She's good at fighting mobs in the overworld, but not the Nether. She meets Steve, who annoys her. He shares the legend that the villagers have. Herobrine put a curse on the area so that if a zombie ever kills a villager, zombie pigmen begin appearing and attacking in the overworld. Steve, moves to the quiet town of Mineville to repair the town's buildings. What promises to be a quiet and uneventful stay turns into a fast paced adventure when he finds a chest full of bones and an old journal. Teaming with Sarah, the mayor's daughter, Steve finds himself in a quest to find hidden pirate treasure in a remote island off Mineville. 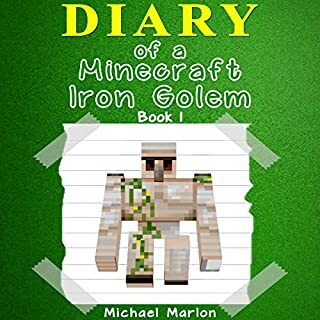 Follow Steve's adventure in this gripping novel, based on the hugely successful Minecraft game. New players join the game Minecraft every day. But dark forces are at work on the Elementia server, and when Stan, Kat, and Charlie arrive on the scene, they quickly find themselves in peril. The king has passed a law banishing all lower-level players from the server by the next Proclamation Day. Anyone who tries to help the noobs will be silenced. With the natural forces of the game closing in and the king's deadline approaching, Stan, Kat, and Charlie must work together to unravel the mysteries of Elementia and lead the battle for justice. Lewis has never been to school before. His best friend, Sebastian, talks him into coming to his school. So he joins the fifth grade at Golden Apple Elementary. He's not entirely surprised when most of the kids think he is weird, being a zombie and all, but he tries not to let it bother him. Steve lives on a wheat farm. He has everything he needs to live in the Minecraft world: a bed, a house, and food. Steve likes to spend his mornings in the NCP village and trade his wheat for emeralds, armor, books, swords, and food. 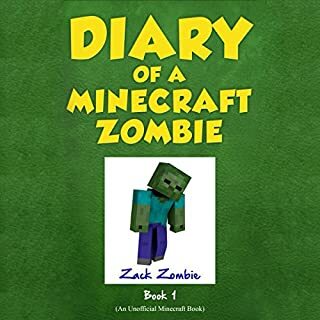 One morning, he finds that Zombies have attacked the villagers. The Zombies have also turned the village blacksmith into a Zombie, leaving Steve without a place to get swords. 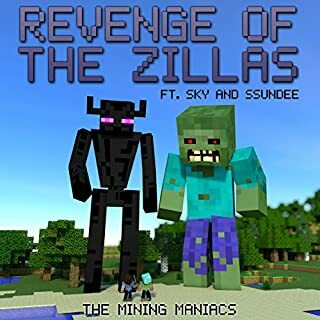 To protect himself and the few villagers that remain, Steve goes on a quest to mine for 40 diamonds, which are the most powerful mineral in the Overworld. He wants to craft these diamonds into a diamond sword to shield him and the villagers from the Zombies. Far from his home, with night about to set in, Steve fears for his life. Nighttime is when users are most vulnerable in Minecraft. As he looks for shelter in a temple, he meets a trio of treasure hunters, Max, Lucy, and Henry, who are trying to unearth the treasure under the temple. Steve tells them of his master plan to mine for the most powerful mineral in the Overworld - the diamond. The treasure hunters are eager to join him. 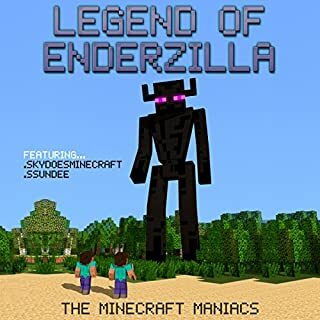 Facing treacherous mining conditions, a thunderstorm, and attacks from hostile mobs, these four friends question if it's better to be a single player than a multiplayer, as they try to watch out for each other and chase Steve's dream at the same time. Will Steve find the diamonds? Will his friends help or hinder the search? Should he trust his new treasure hunter friends? And will Steve get back in time to save the villagers? ©2014 Hollan Publishing, Inc. (P)2014 Audible Inc.
What did you like best about Quest for the Diamond Sword? What did you like least? This book was obviously written for children who love Minecraft. I have two boys who have now listened to it 5 times in the first two weeks we have owned it. However, the story is below average. I would have never finished it if my family wasn't on a road trip listening to books together. Parents are not going to love this book, but they won't hate it ether. It is a good book to listen to as a family. Would you ever listen to anything by Winter Morgan again? We have already purchased the second book in the series. I love listening to Luke. 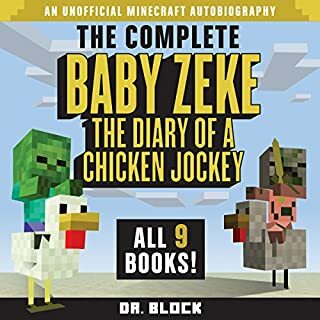 When picking a Minecraft book for my kids I chose this one specifically because he was the reader. Like all of his work each character has a distinct voice. His performance provided life into an otherwise average book. 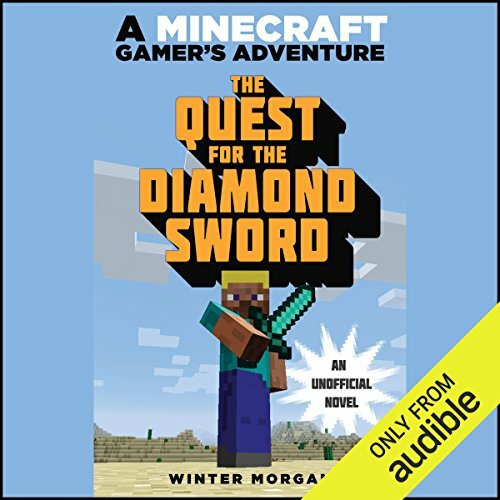 Do you think Quest for the Diamond Sword needs a follow-up book? Why or why not? Need one? No. But there is one. My kids have listened to it twice in the past 36 hours we have owned it. 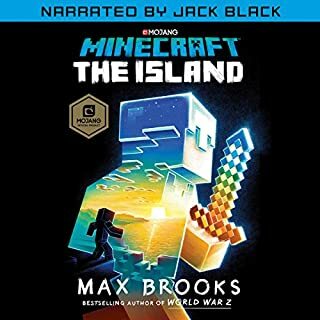 There is nothing remarkable about this short novel except that it kept my Minecraft-obsessed nieces (8 and 12 years old) interested throughout a long car ride. We did have to stop the book frequently so that they could explain what was going on ("see, the green slimy monsters live in such-and-such, and only the whatchamajiggy can kill them"). Adults with any video game or role-playing game experience will easily understand what is going on. Kids might find this boring unless they have played Minecraft. Listen to it at 1.25 speed if you want it to end more quickly. I love hearing Luke Daniels perform audio books. I think the author tried to cram everything minecraft in and it was almost too much but my daughter loved it. this book is a classic heroes journey book within the minecraft world and i see why children would like it for the minecraft references. i probably won't read the other books in this series. My 7 and 11 year-old sons and 9 year-old daughter enjoy listening to this story in the car as we run errands and spend family time on the weekends. Well-performed narrator makes it enjoyable for us parents to listen along, as well. Whole family enjoyed it, especially the 6,7 & 9 year olds. We rated it five, with the caveat that you know and love the world of minecraft already. Great book, was on a plane listening to this and it took the whole journey! It has a great story and really gets you sucked in it! Has some great twists with it too! one of the best books I've read! AMAZING!